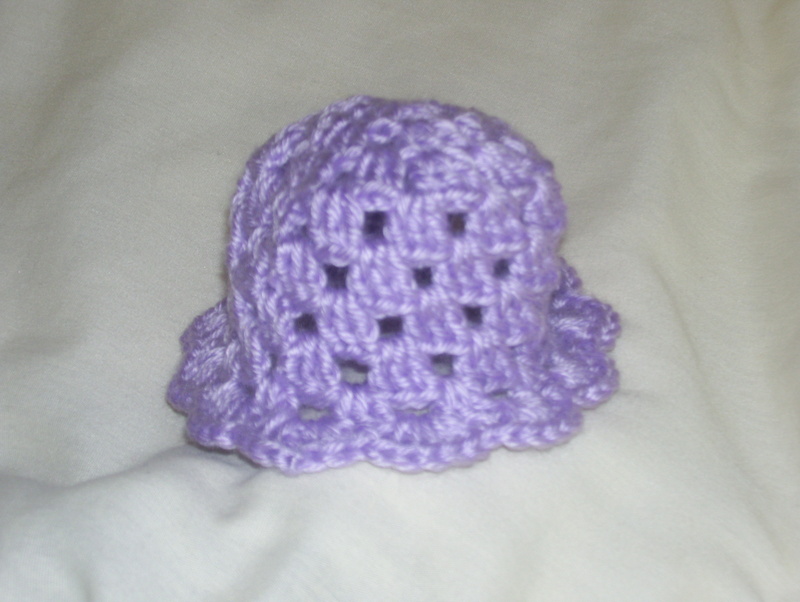 #4 here is that crocheted one with a ruffled border. 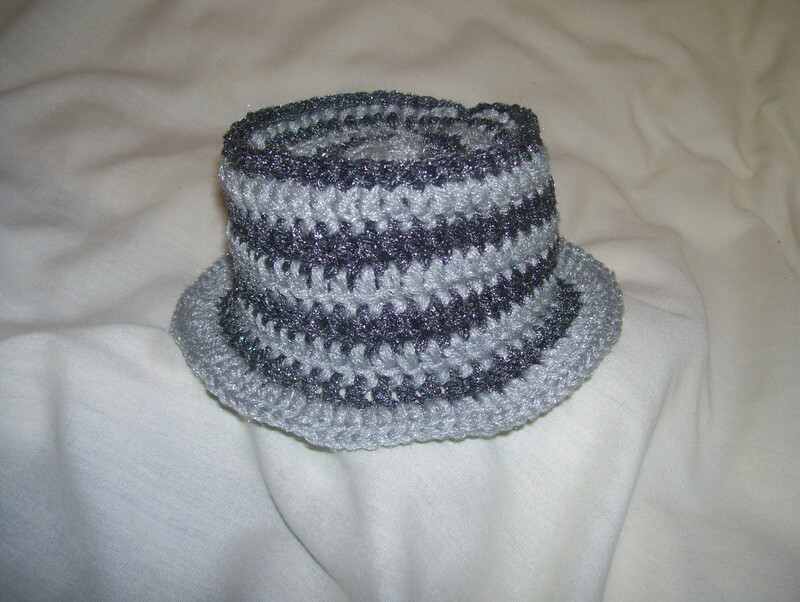 Hat #6 is one I made up on the fly. I may or may not post the pattern later on. #5, in case you’re wondering, is a feather and fan one that’s still in the works. I can crochet way faster than I can knit. 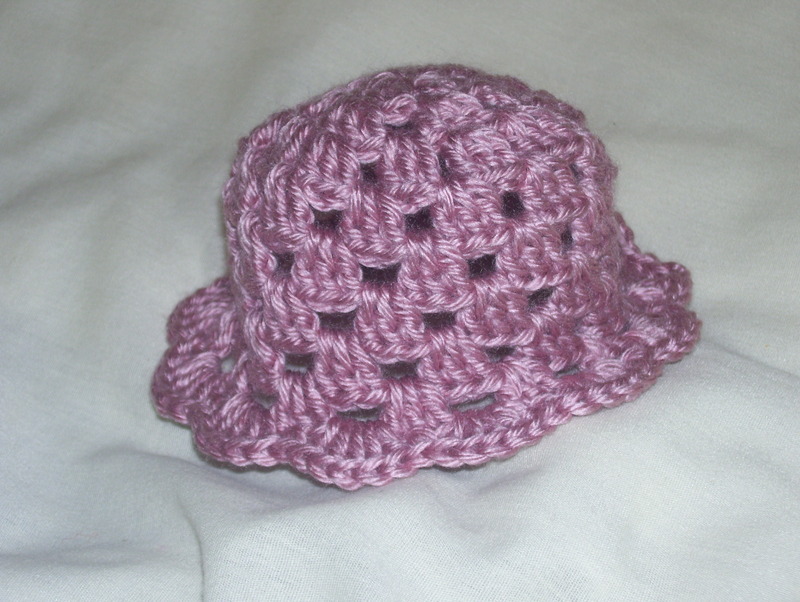 #7 here was done in yarn that I actually recognized, Caron Simply Soft. It’s leftover from a springtime color afghan I made a long time ago. #8’s in the same yarn, different color, from the same afghan. 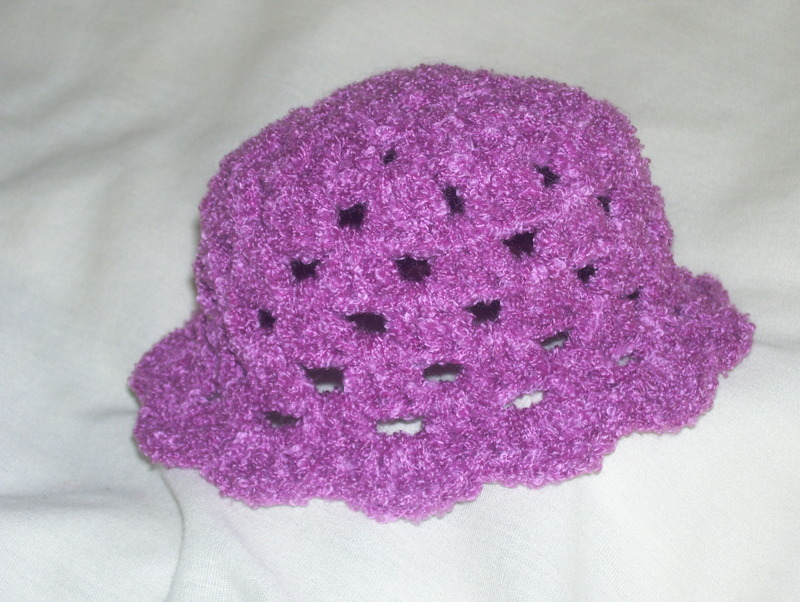 #9 is made with TLC Amore yarn, and boy was it odd. 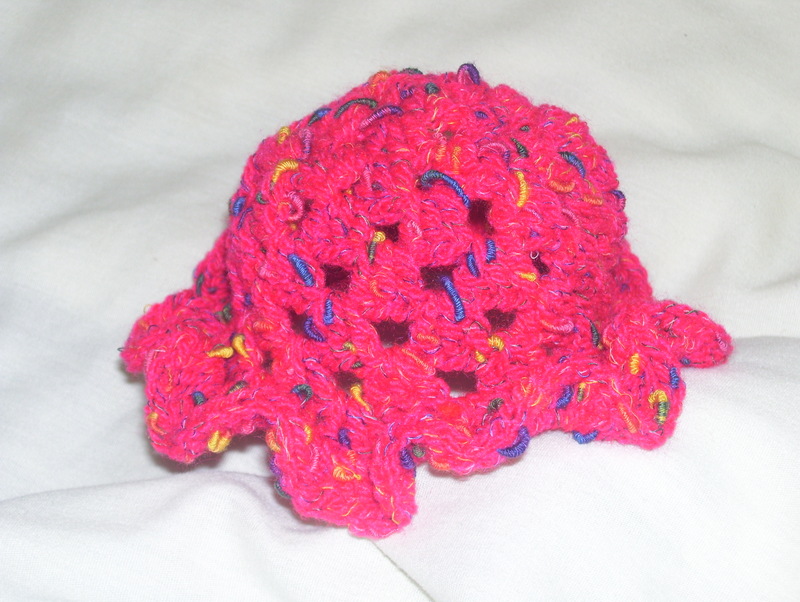 I’d knit with it before, but crocheting is rather interesting. It doesn’t look fuzzy in the skein, but it was really hard to see where to stick the hook. It sure is soft though. #10 here is the last one for a little bit. It’s done in some heathered purple I had laying around, no idea at all what the brand is, but the heathering is beautiful and it’s squishy soft for acrylic. It’s also a bit on the thick side, so I went up a hook size to an H. Still adorable though. I have to take a short break from the baby hats to work on some Christmas presents. 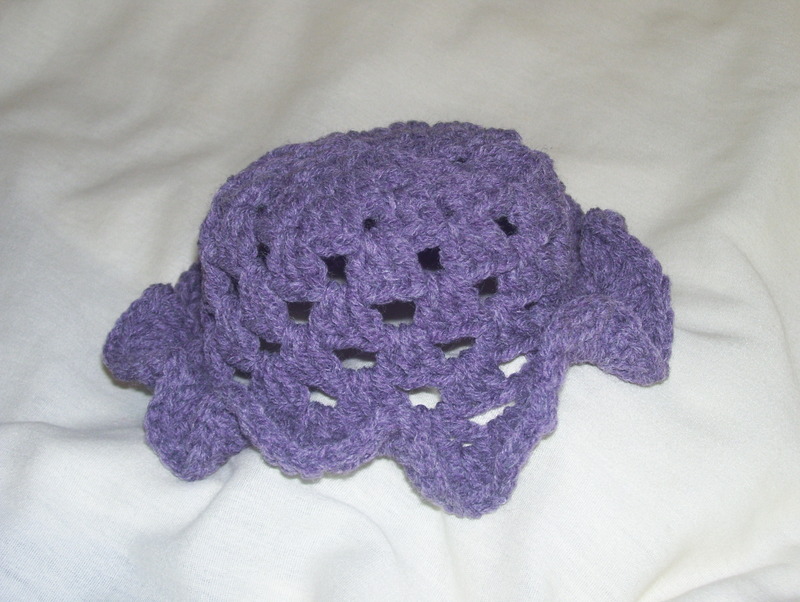 I’m making something, probably a hat, for my sister’s hubby using this pattern. Nice, huh?